At this time of year, the risk of hurricane damage is much higher, so it's best to know all the facts about hurricane damage and insurance. With hurricane damage, an insurance carrier may attempt to deny the settlement or provide an offer for compensation based on certain provisions in the policy. When there is any possible problem with a claim and an insurance company attached to the matter, it is generally crucial to hire a lawyer to protect the interests of the policyholder. Generally, there are certain locations in the United States more prone to hurricane damage than other areas, such as south Louisiana. 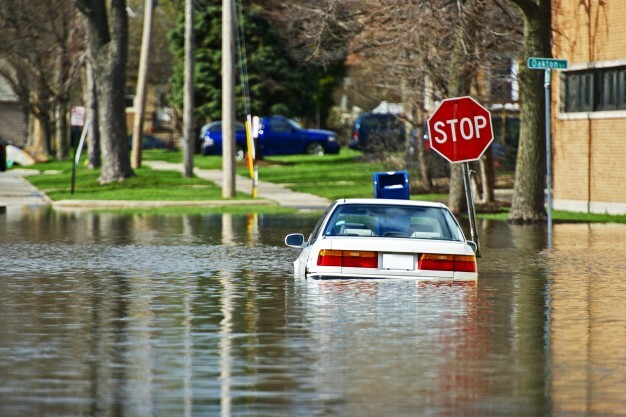 In these states, there are some specific trouble spots that could increase property damage based on proximity to bodies of water or where hurricane damage is at the most extreme. The insurance coverage to repair or replace homes in these sections is usually severe in cost. However, the individual facing such problems may need to hire a lawyer to enforce the settlement offer when insurance policies are up to date. The insurance company involved in the hurricane damage with various properties may become difficult and attempt to deny coverage. Even if the policyholder does not live in the extreme sections, it is possible to face these situations with the carrier. It may be necessary to first gather evidence that a settlement is valid and check the policy to determine if the company is denying the claim invalidly. Within the conditions of the policy, the holder or owner of the property may make a claim with the carrier. In many situations, numerous companies may attempt to reject a validly handled and filed claim with the carrier. As with most other businesses, the insurance company exists to make profits. If a hurricane destroys a house or causes extensive damage, the claim repayment will cost the carrier. There are often loopholes, policy changes or special rejections within the coverage that the insurance company may take advantage of to lower settlement offers or provide the minimum amount to the policyholder. The need for legal support occurs early on into the investigation where a settlement is necessary with a valid claim and up to date policies. The insurance company will require an assessment of damages, and an adjuster may arrive to also report his or her analysis of the damage. The company may report that the policyholder failed to mitigate possible damage through certain safety measures or explain items that have no coverage. Preventable damage is another way to lower the offer or a settlement. Pre-existing conditions are among the most notorious claims the insurance carrier will use to get out of any settlement or to lower the offer to an amount that will not repair the house. The incident may include several elements that the adjuster will add that are either false, misconstrued or inaccurate. It is generally advised by experts to refrain from providing a statement about the damage or give exact details that are not in the report. When talking with the adjuster or the carrier through various communications, the policyholder may want a lawyer on hand to explain what to say or communicate on their behalf. Some situations require the legal representative to initiate or force communication when the carrier does not respond to the policyholder. Other circumstances need intimidation of a legal professional to force the company to respond appropriately to the situation. To ensure a reasonable and fair settlement is possible, and to avoid lower offers or denials of valid claims, the policyholder usually requires the services of a lawyer for communication and assistance.